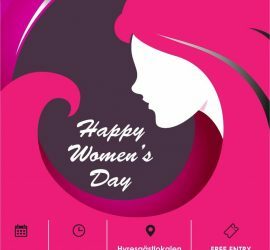 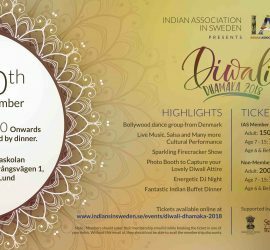 BOOKINGS CLOSED FOR THE EVENT!! 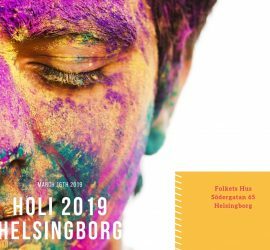 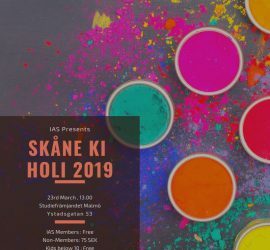 ON Behalf of IAS Board, We are happy to announce that the “Most Awaited Grand Inaugural IAS Event in Helsingborg, will kick off in style by celebrating the color festival. 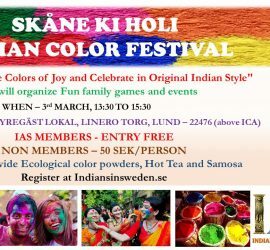 Now Get Ready to sign In for this festival . 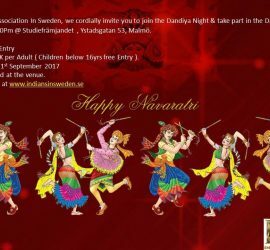 On Behalf of Indian Association In Sweden, we cordially invite you to join the Dandiya Night . 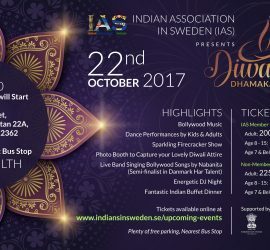 Food can be purchased at the venue. 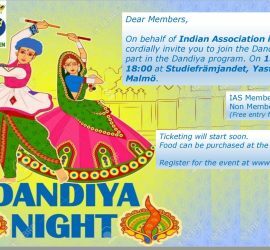 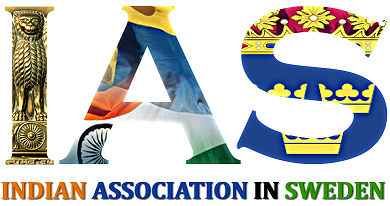 Thanks for your association with the Indian Association in Sweden (IAS) family and we value your contribution/participation towards the IAS activities. 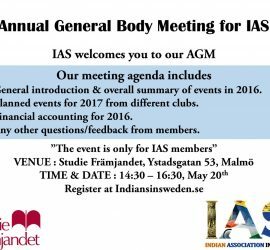 We would like to welcome you to our annual general body meeting (AGM) between 14:30 – 16:30 on 20th May in Studieframjandet, Ystadsgatan 53, Malmö.